Understand what will look good and bad on your body. If you are small, use light colours to increase the appearance of your overall length. 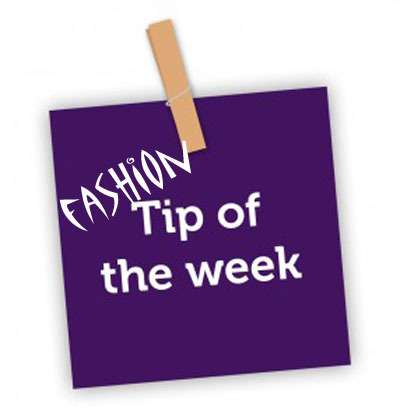 Use conspicuous details such as brighter colours or patterns on parts of your body that you want to draw attention to. You can use lighter colours for shirts or blouses and darker colours for pants or skirts to balance out a pear-shaped body. Look thinner by avoiding large floral and other patterns. Large shapes on your clothing can be very unflattering and will emphasise your size. Choose a discrete pattern. Black and white, a very popular combination, is in again this season. You always see a lot of looks with that combination on the professional runway. You can certainly fit these colours into many of your outfits. The possibilities are nearly endless with white and black pieces. There are a few essentials that every woman should have in their wardrobe. Two pairs of dark pants, a pair of jeans that can be used with sneakers and a pair that can be worn with heels. A black dress could also be useful for special occasions. And of course some basics you can easily mix and match. Create a style that is unique. Many people follow the trends set by others, but truly original fashionistas develop their own sense of style. Some people believe fashion only involves clothes. They’re not aware that bad hair can negatively affect your whole look. So if you want to keep things looking fashionable, pay attention to your hair, to the accessories you're wearing, to your shoes, belts, etc. Don't have anything on you that's out of place. You can think about fashion in many ways, and none of them are right or wrong. Fashion is about developing your own sense of style and what makes you feel good. Each new look you see can be exciting, and you must figure out what works for you. Remember the above suggestions when you are trying to find what your personal fashion sense is. If you have any questions regarding this article, just let me know!